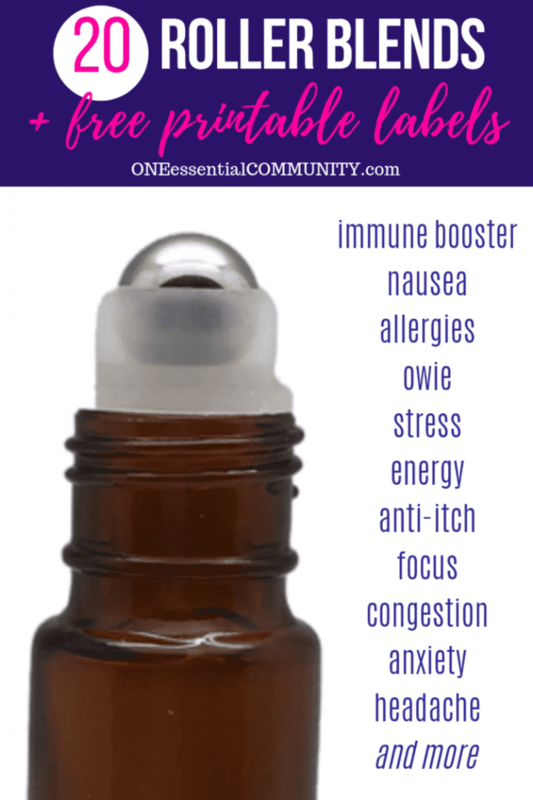 Lavender was the very first essential oil that I used years ago. Like many women, I was having trouble falling asleep and staying asleep. Laying down to bed, my mind would race for up to an hour thinking about all the things the had happened that day, all the things that still needed to be done, what was happening tomorrow, how to solve a problem at work, what was I going to do as room mom for my daughter’s next school party, and on and on and on. And then after I finally fell asleep, I was waking up several times a night. That was the worst part. The littlest thing would make me wake up. I just couldn’t get a good night’s sleep. And then my sister told me about essential oils. I was a skeptic at first. To be honest, I didn’t believe her that they could work as well as she said they did. But she gave me some samples anyway. And I tried the lavender. What could it hurt? I wasn’t sleeping as it was. And that’s when I became a believer! The lavender worked! I fell asleep within minutes of laying down, and I slept through the night! 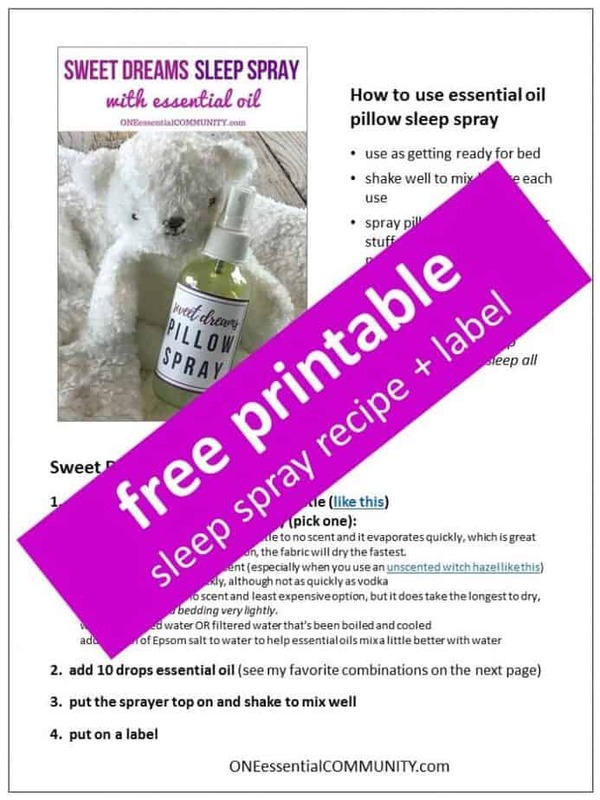 I’ve used essential oils pretty much every night since… in this sleep spray, in sleep diffuser blends (recipes here), and my amazing calming magnesium body butter (recipe here). 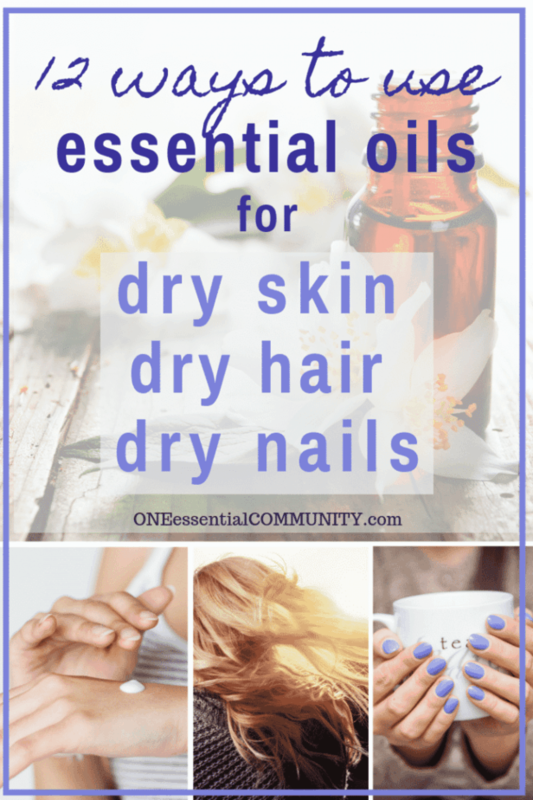 I still use lavender, but I’ve also branched out. 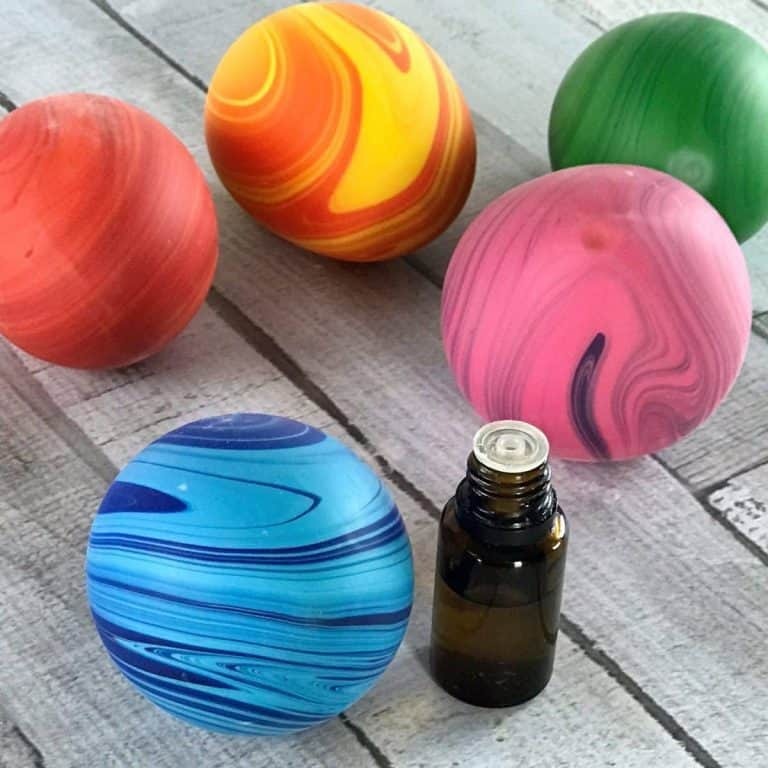 There are so many essential oils that help to fall asleep and stay asleep. 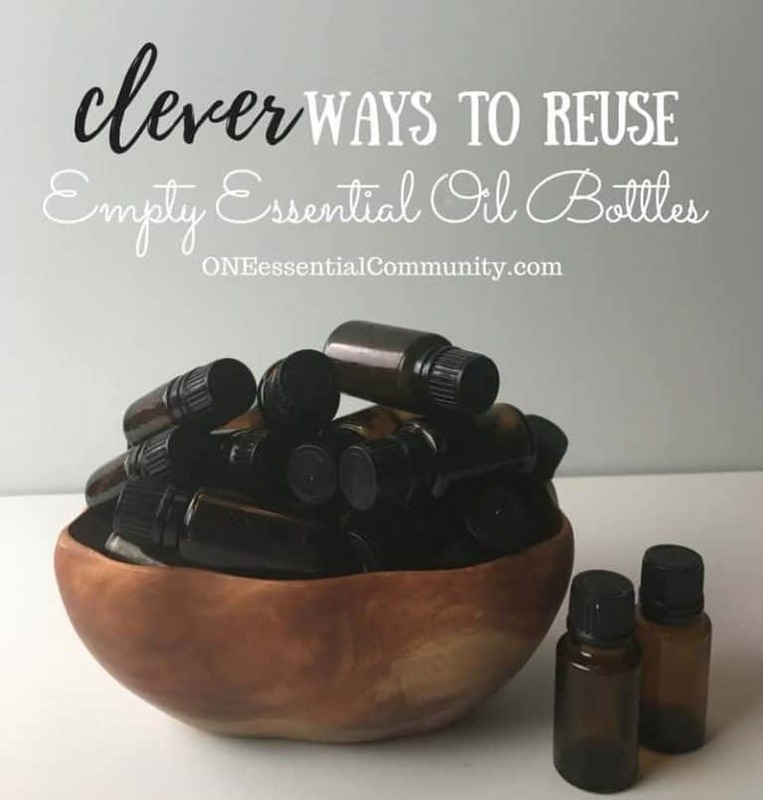 I’ve listed them below so that you can find the ones that work best for you. 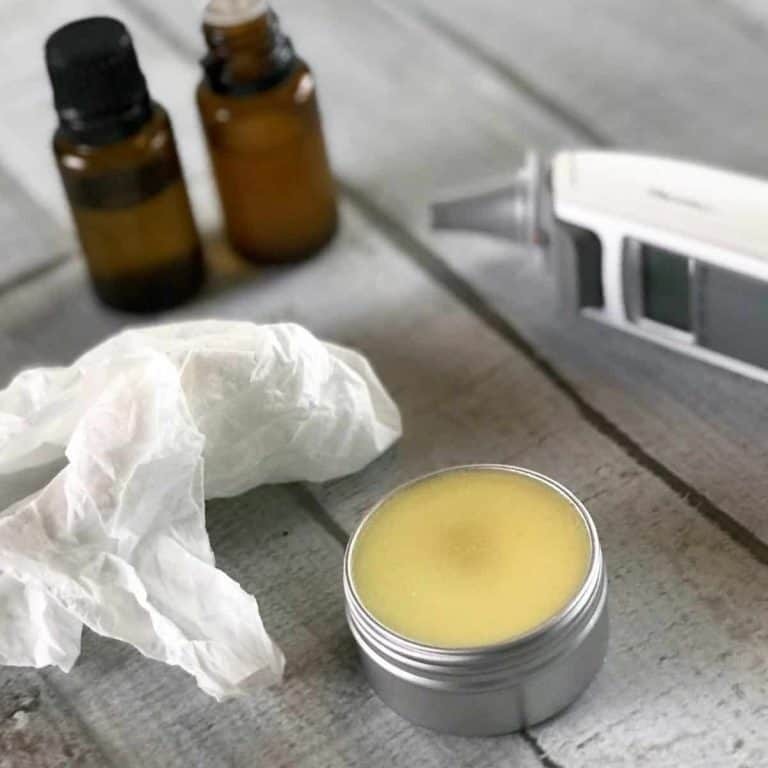 Which essential oils are best for getting a great night’s sleep? 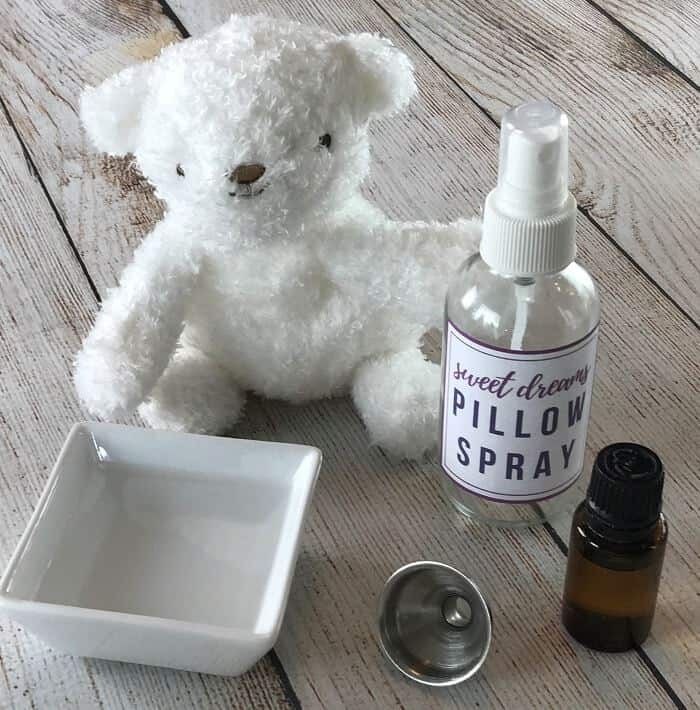 How to make a natural essential oil pillow spray for a great night’s sleep? 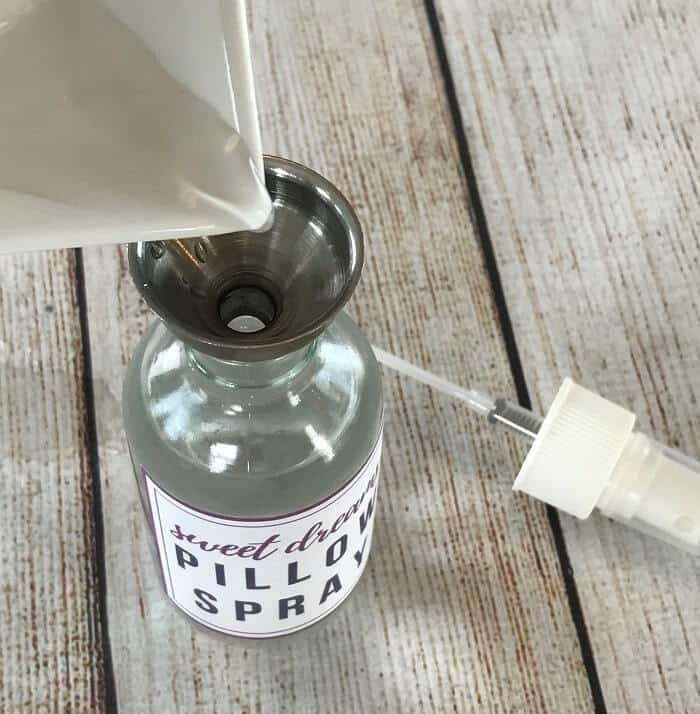 vodka – this high proof alcohol has little to no scent, and it evaporates quickly, which is great for a pillow spray. With this option, the fabric will dry the fastest. 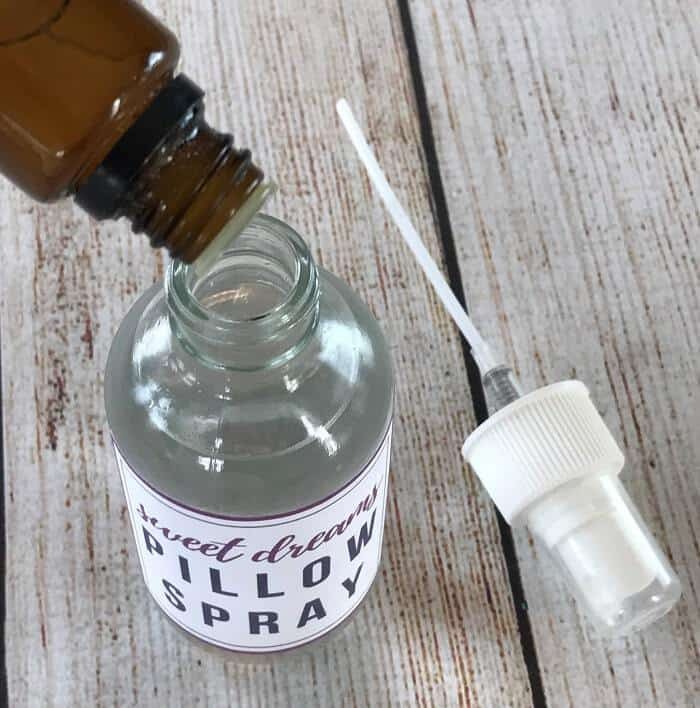 witch hazel – has very little scent (especially when you use an unscented witch hazel like this) and it dries relatively quickly, although not as quickly as vodka. 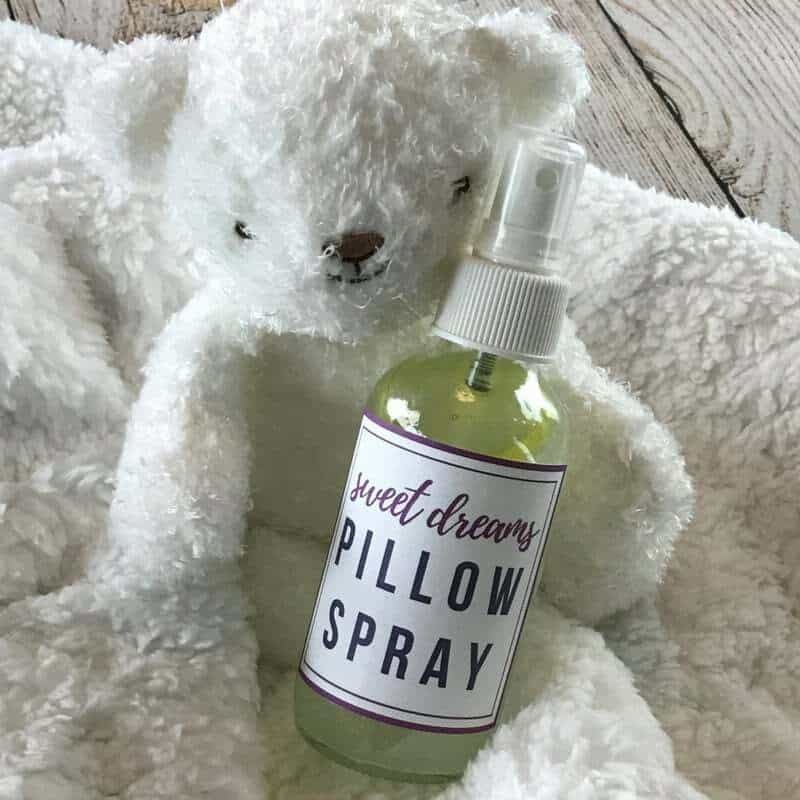 water + Epsom salt – no scent and least expensive option, but it does take the longest to dry, so spray pillow and bedding very lightly. 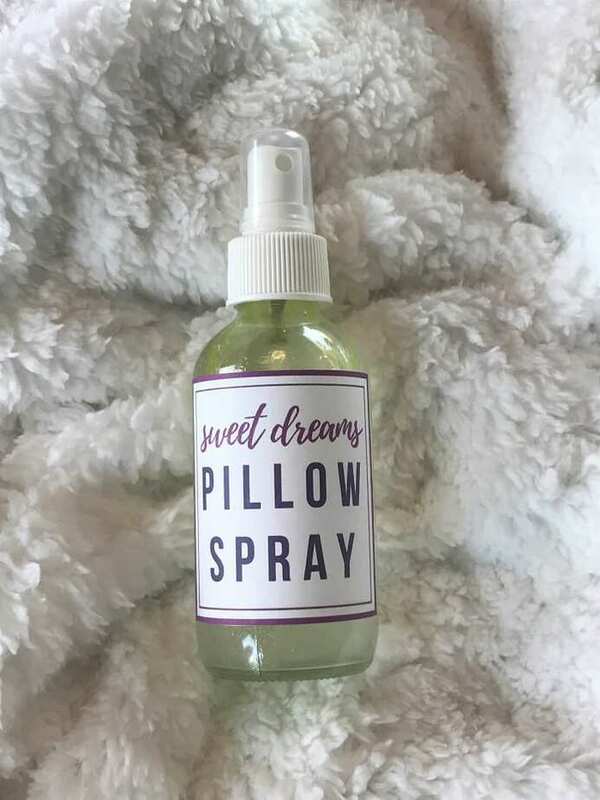 A blend of lavender and cedarwood is my absolute favorite! 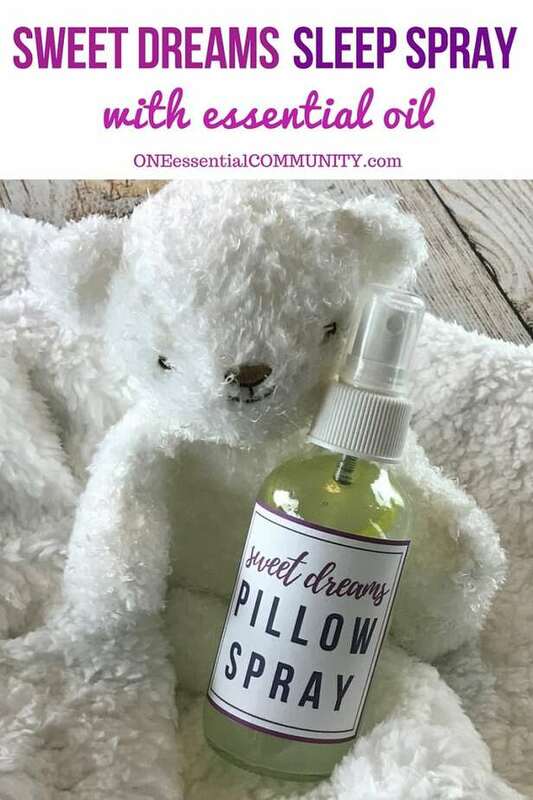 I fall asleep quickly and sleep soundly all night every time I use that combination. Just a whiff of it, and I start to get sleepy. 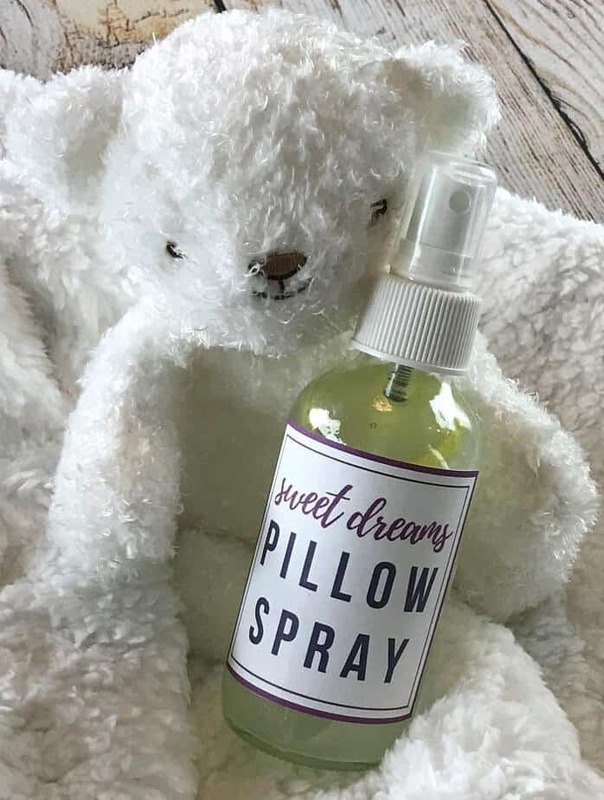 vodka – this high proof alcohol has little to no scent and it evaporates quickly, which is great for a pillow spray. With this option, the fabric will dry the fastest. 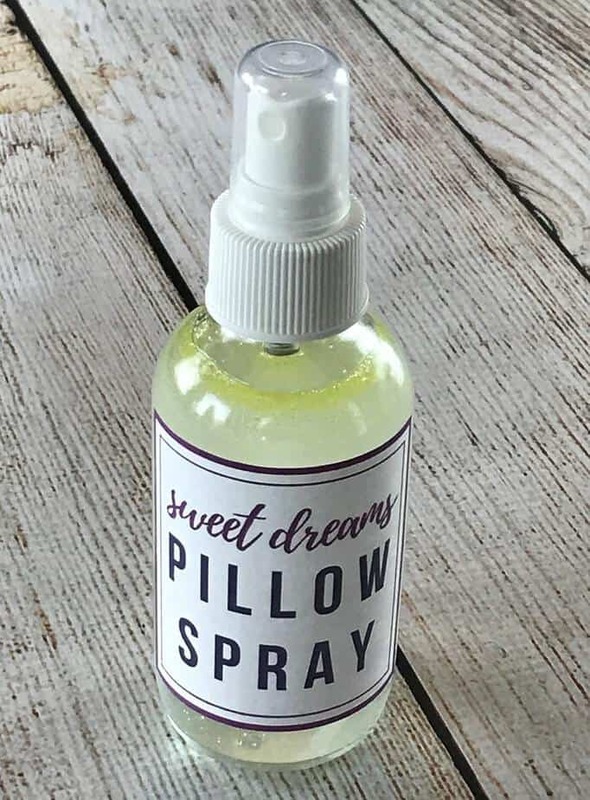 In addition to using this pillow spray for a great night’s sleep, I also love to use essential oils to help relax throughout the day and before bed. 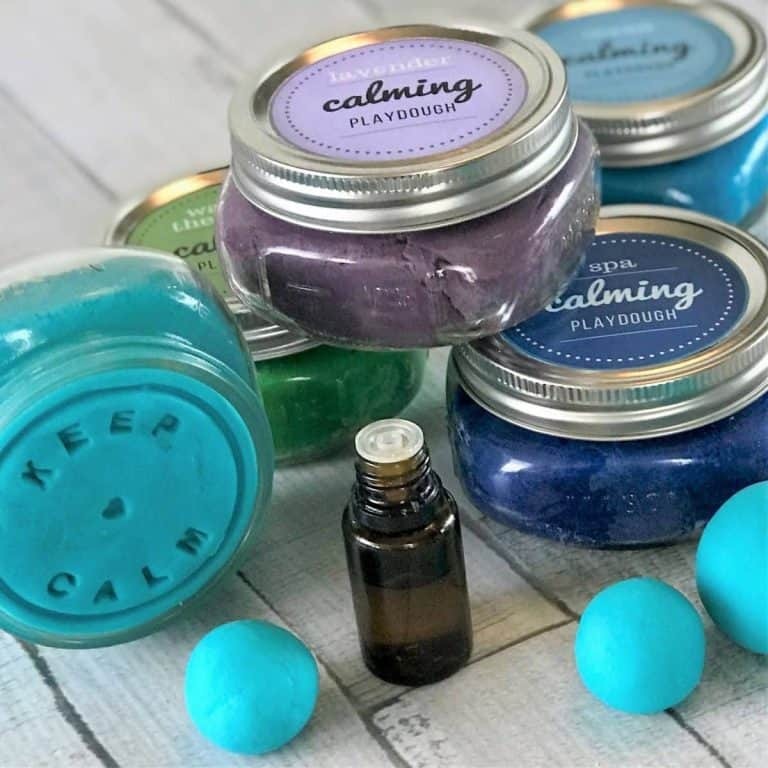 homemade Relaxation Rub (find the recipe here) It’s great for reducing stress & anxiety, improving sleep, calming, balancing, & relaxing. Plus is easy to make and only 3 ingredients.